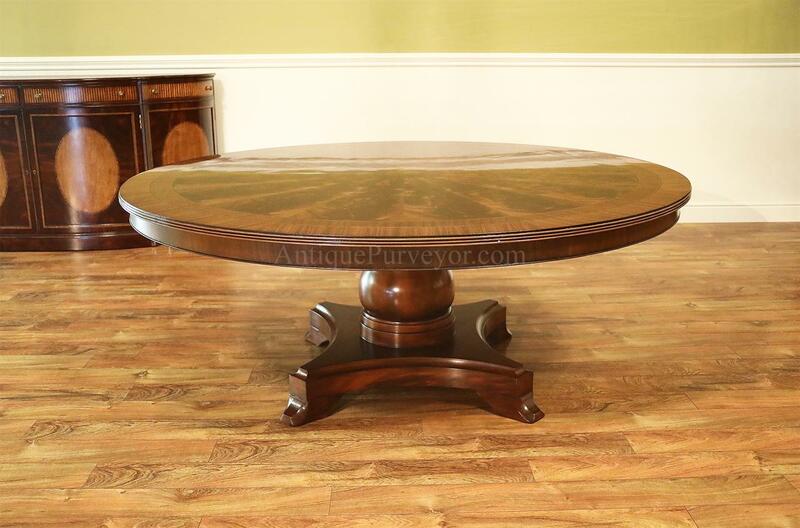 Description: American made 72 inch round mahogany pedestal table for seating 8 people. 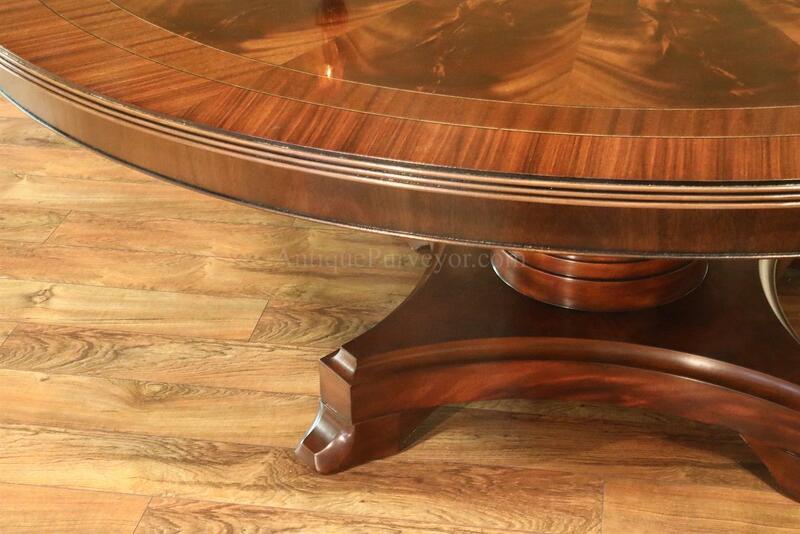 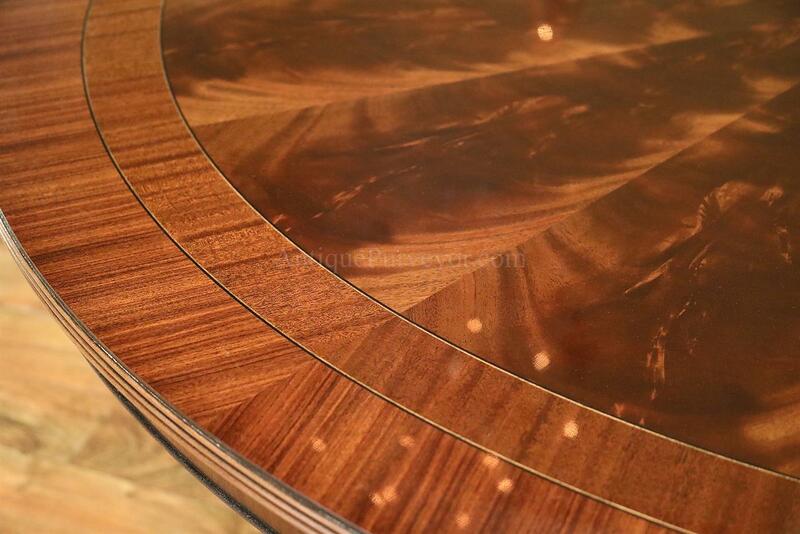 A multi-banded traditional round pedestal table made and finished in the USA. 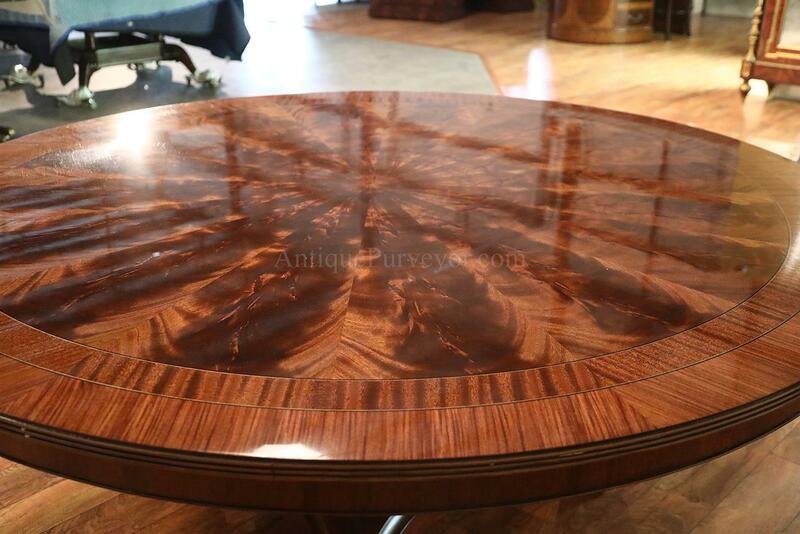 This table has a mahogany border and a pie cut crotch mahogany field. 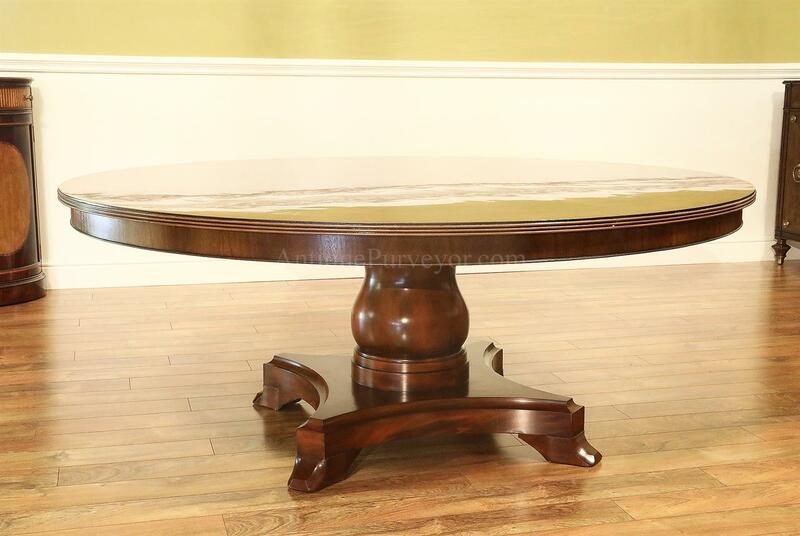 Amazing quality, very sturdy, overbuilt imported and customized pedestal holds this table very steady. 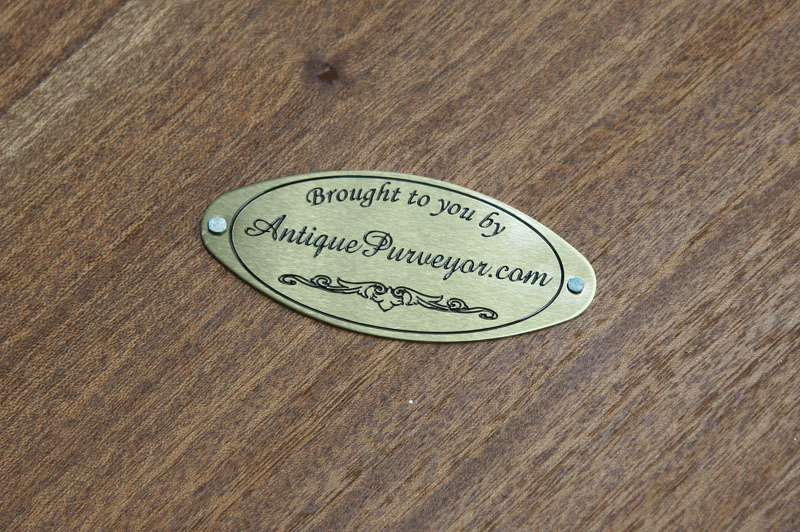 Modernized saber legs which is a copyrighted foot designed exclusively for our store. 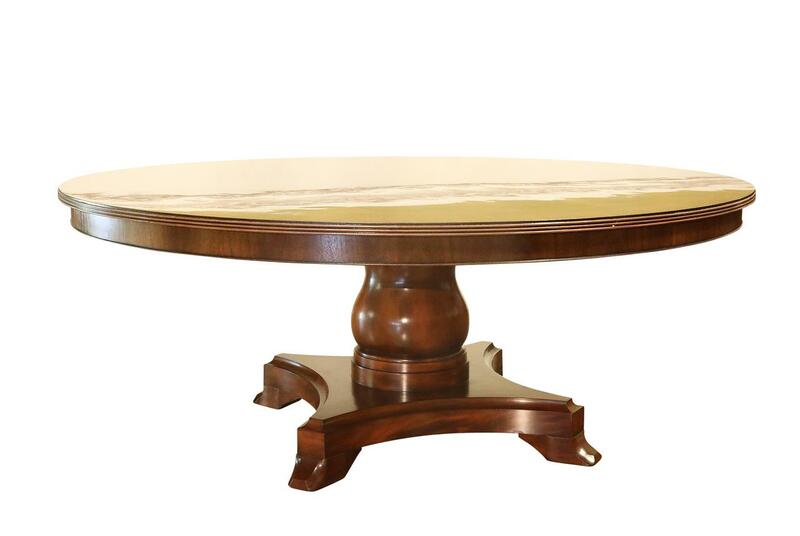 The pedestal is designed to take punishment and heavy traffic and is overbuilt so those who want a single column style pedestal can now buy with confidence as we designed this pedestal table to be as functional as it is aesthetically pleasant. 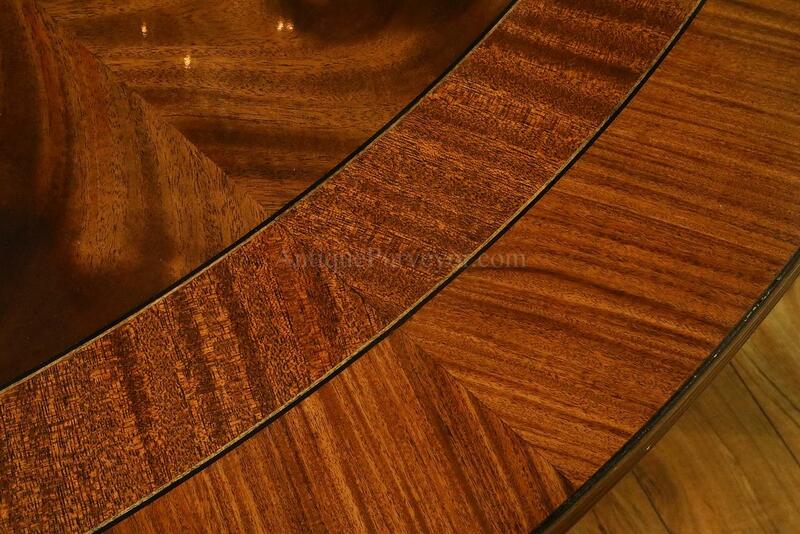 Razor thin nitro cellulose lacquer finish which resembles an antique style French polish finish but it is much tougher to meet today's standards.